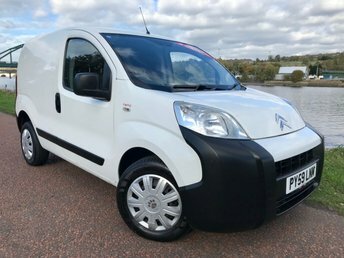 For businesses that require enough loadspace for deliveries or to move stock, but don't want to have to guide a full-size panel van through busy city streets, the Citroen Nemo could well represent the perfect solution. This compact van is easy to drive and affordable to run and could be just the answer if you're after a spacious, practical partner for your business. Take a look at the complete lineup of used Citroen Nemo vans for sale in Newcastle Upon Tyne right now. At JC Car Centre we're proud to be able to offer a comprehensive selection of quality used vehicles, with models to suit all budgets and lifestyles. Contact a member of the team today to find out more.